POINT ROBERTS, Wash., Delta, B.C. June 30, 2006 - Green technology investor portals www.RenewableEnergyStocks.com™ and www.GreenTechInvestor.com “The Ultimate Green Tech Investor Virtual Stock Trading Contest”, gives investors and industry access to the most comprehensive online directory of green and renewable technology stocks currently available. With the surge of investment in the sector as well as IPO's coming to market, retail investor interest is growing. The competition gives investors a chance to win a ZAP (ZP) electric car or electric scooter while gaining a valuable education in green and environmentally friendly technology .The contest started June 19th and runs through to August 18, 2006. The contest starts investors with $200,000 in virtual dollars to invest in green companies of choice from a list provided by RenewableEnergyStocks.com™. The current stock list includes a cross section of public companies trading on OTC, AMEX, NASDAQ, NYSE as well as TSX. Brought to you by InvestorIdeas.com™, RenewableEnergyStocks.com™, EnvironmentStocks.com, FuelCellCarNews.com and our sponsors. www.RenewableEnergyStocks.com™ (RES), www.EnvironmentStocks.com (ES) and www.FuelCellCarNews.com (FCCN) are portals within the InvestorIdeas.com™ content umbrella. Our sites do not make recommendations, but offer investors research, news, interviews, articles, blogs and links to public companies within the renewable energy, clean tech and fuel cell sectors. We provide a variety of renewable and green content through: Clean Energy News Blog, Renewable Energy Blog and articles by solar expert, J. Peter Lynch, all available on RenewableEnergyStocks.com™ Disclaimer: Portals are compensated by Featured advertising companies. Following on the trail of Verasun Energy (VSE) , Aventine Renewable Energy Inc (AVR) comes to market today, and just prior to its debut had raised its IPO price. The company offered nine million shares at $43, up from the original price of $37-41. “A sustainable energy future is possible"
“Technologies can make a difference”, said Claude Mandil, Executive Director of the International Energy Agency (IEA) today in Paris, presenting the key findings of a new IEA publication: Energy Technology Perspectives: Scenarios and Strategies to 2050. “A sustainable energy future is possible, but only if we act urgently and decisively to promote, develop and deploy a full mix of energy technologies – including improved energy efficiency, CO2 capture and storage (CCS), renewables and -- where acceptable -- nuclear energy. We have the means, now we need the will”, Mr. Mandil added. Energy Technology Perspectives is part of the Agency's response to the call from G8 leaders at their Summit in Gleneagles in July 2005 for the IEA to advise on alternative scenarios and strategies aimed at a “clean, clever and competitive energy future”. Running up to the St. Petersburg G8 summit the study presents a series of scenarios to demonstrate the role energy technologies that are already available or under development can play in future energy markets. “We find that clean and more efficient technologies can return soaring energy-related CO2 emissions to today’s levels by 2050 and halve the expected growth in both oil and electricity demand”, Mr. Mandil said. Released against a backdrop of historically high oil prices and global CO2 emissions from energy use almost 25% higher than a decade ago, this groundbreaking IEA publication takes a detailed look at status and prospects for key energy technologies in power generation, buildings, industry and transport. It puts forward strategies for attaining scenarios unimaginable under current trends. “Improved energy efficiency is an indispensable component of any policy mix”, said Mr. Mandil, “and it is available immediately”. Accelerating energy efficiency improvements alone can reduce the world’s energy demand in 2050 by an amount equivalent to almost half of today’s global energy consumption. To achieve this, however, “governments, in both OECD and non-OECD countries, must be willing to implement measures that encourage the investment in energy-efficient technologies“, Mr. Mandil added. Another key technology is the capture and storage of CO2 emitted from power-generation or industrial processes. The study points out that the early demonstration of CCS in full-scale power plants should be a high priority. “If we do not succeed in making CCS viable, the cost of mitigating CO2 emissions will be much higher”, Mr Mandil warned. Deploying CCS, along with more renewables, more nuclear and more efficient use of natural gas and coal, can significantly decarbonise global electricity generation by 2050. “With the right policy incentives we think there is scope for renewables to quadruple by 2050 and for nuclear to gain a more important role in countries where it is acceptable”, Mr. Mandil stated. The Ultimate Green Tech Investor Virtual Stock Trading Contest - Green technology investor portals http://www.renewableenergystocks.com/ and http://www.greentechinvestor.com/ present “The Ultimate Green Tech Investor Virtual Stock Trading Contest” – register now for a chance to win a ZAP® http://www.zapworld.com/ electric car or electric scooter as well as gain a valuable education on green technology over the course of this summer’s virtual trading competition. Disclaimer: Portals are compensated by Featured advertising companies as disclosed in disclaimer below. POINT ROBERTS, Wash., Delta, B.C. - June 19, 2006 - www.RenewableEnergyStocks.com and www.FuelCellCarNews.com leading investor and industry portals for the renewable energy and fuel cell sectors presents an audio interview with Gunnar Lindstrom, Senior Manager of Honda Alternative Fuels, Stephen Ellis, Manager of Fuel Cell Marketing and Chris Martin, Honda Public Relations spokesman. With the demand for alternative fuel vehicles remaining clear amidst concern over depleting oil and fuel resources, the drive in the market to produce a better range of options increases. As many of these technologies continue to evolve, the goal of making the alternative fuel vehicle an easier choice is at the forefront as companies strive to increase marketability and target a wider range of drivers. In terms of getting to a point where the Company is less reliant on gasoline fueled vehicles, Gunnar Lindstrom says, “It’s just hard work over a long period of time.” American Honda Motor Co. Inc., the sales, marketing and distribution arm of Honda Motor Co. Ltd. (NYSE: HMC) reports that the Company plans to refine its own zero-emission FCX vehicle over the next 3-4 years. As they move ahead in the development of new alternative fuel vehicles, Stephen Ellis reflects the Company had at first learned quite a lot through its initial sale of electric cars, whereby they noticed that people were pleased to refill at home. Hence the Company developed the idea to design home refueling stations, in combination with new home heating technologies. The Company also believes this kind of strategic thinking will be prevalent in the design of future products. The Satellite Linked Navigation System is an example of new innovations which will serve to improve convenience for drivers who are making alternative choices. The Ultimate Green Tech Investor Virtual Stock Trading Contest - Green technology investor portals www.RenewableEnergyStocks.com and www.GreenTechInvestor.com present “The Ultimate Green Tech Investor Virtual Stock Trading Contest” – register now for a chance to win a ZAP® www.zapworld.com electric car or electric scooter as well as gain a valuable education on green technology over the course of this summer’s virtual trading competition. 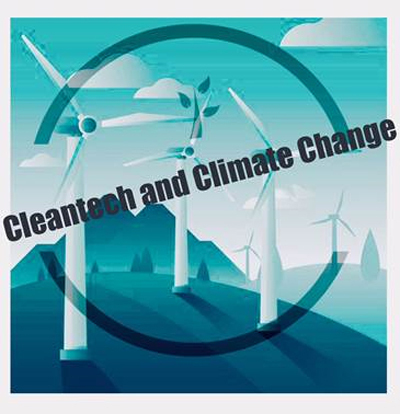 Source: RenewableEnergyStocks.com, American Honda Motor Co. Ltd.
Green Energy Virtual Stock Challenge- Are you the Ultimate Green Technology Investor? POINT ROBERTS, Wash., Delta, B.C. June 12, 2006 - Green technology Investor portals www.RenewableEnergyStocks.com and www.GreenTechInvestor.com present “The Ultimate Green Tech Investor Virtual Stock Trading Contest” - a chance to win a ZAP (ZP) electric car or electric scooter as well as gain a valuable education on green technology over the course of this summer’s virtual trading competition. Current sponsors and prizes include a ZAP® www.zapworld.com (NYSE Arca:ZP) Electric Car, and Electric Scooter, plus prizes from MicrocapTrade http://www.microcaptrade.com and Energy Hedge Fund Center LLC http://energyhedgefunds.com. The contest starts investors with $200,000 in virtual dollars to invest in green companies of choice from a list provided by RenewableEnergyStocks.com. The current stock list includes a cross section of public companies trading on OTC, AMEX, NASDAQ, NYSE as well as TSX. RenewableEnergyStocks.com, FuelCellCarNews.com and EnvironmentStocks.com are portals within the InvestorIdeas.com content umbrella. Our sites do not make recommendations, but offers investors research, news and links to public companies within the renewable energy and green sectors. We provide a variety of renewable and green content through: Clean Energy News Blog (www.cleanenergynews.blogspot.com), Renewable Energy Blog (www.renewableenergystocks.blogspot.com) and articles by solar expert, J.Peter Lynch (www.renewableenergystocks.com/PL/). POINT ROBERTS, Wash., June 1st, 2006 - www.RenewableEnergyStocks.com (RES) a leading investor and industry portal for the renewable energy sector presents, “Traveling the Highway to a Renewable Energy Future: A Look At Innovation in Transportation.” Perspectives from global companies ZAP, DaimlerChrysler, Alchemy Enterprises, Honda Motor and DynaMotive Energy Systems Corporation are revealed as they discuss the opportunities that exist from the growing integration of renewable and alternative energy technology within the transportation market. RenewableEnergyStocks.com (RES) and Environmentstocks.com (ES) are portals within the InvestorIdeas.com™ content umbrella. Our sites do not make recommendations, but offer investors research, news and links to public companies within the renewable energy and green sectors. RES and ES provide a variety of renewable and green content through: Clean Energy News Blog, Renewable Energy Blog and articles by solar expert, J.Peter Lynch, all available on RenewableEnergyStocks.com. InvestorIdeas.com Disclaimer: www.InvestorIdeas.com/About/Disclaimer.asp Our sites do not make recommendations, but offer information portals to research news, articles, stock lists and recent research. Nothing on our sites should be construed as an offer or solicitation to buy or sell products or securities. We attempt to research thoroughly, but we offer no guarantees as to the accuracy of information presented. All Information relating to featured companies is sourced from public documents and/ or the company and/or IR firm and is not the opinion of our web sites. These sites are currently compensated for by its "featured companies" Alchemy Enterprises Ltd (OTCBB: ACHM), five thousand dollars per month.